You know all about this. Classical 101 has been proud to join the worldwide celebration of the Leonard Bernstein birthday centennial. You'll find plenty of Bernstein posts here by hosts Jennifer, Kent, Cheryl and even me. 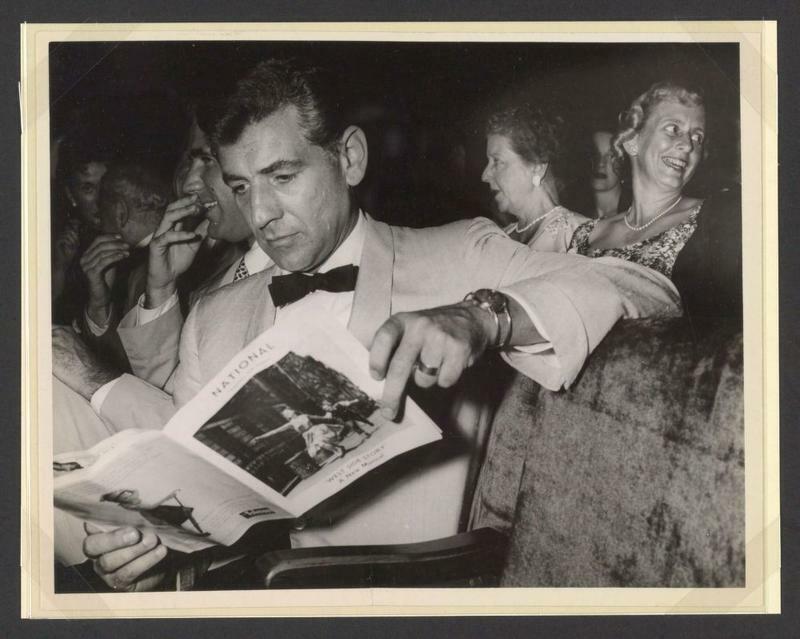 I'll never forget the audience anticipation waiting for Bernstein to come out and conduct at the Met in 1983. Likewise, his performance of Gustav Mahler's Second Symphony, "Resurrection" was a great experience from the cheap sets in Carnegie Hall. He was the only conductor I heard who got the "whisper" just before the contralto sang "O Roschen Rot," a whisper in the orchestra you could hear everywhere while still being a whisper. Call me up, and I'll tell your grandchildren all about hearing Bernstein conduct at the Met and in Carnegie Hall. Pearlie Mae, boys and girls. Saw her in Hello, Dolly! at the Colonial Theatre in Boston around 1975. She'd played it on Broadway, she'd recorded the show and she did it her own way, thank you very much. Only partial-view tickets were available. The woman in the box office said, "Don’t worry, honey, there’s nothing to see in this show unless Miss Bailey is walking all the way down front." She was great. 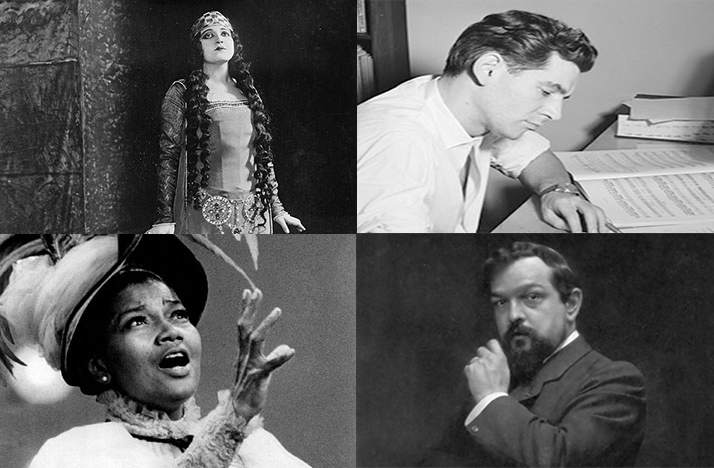 Think of the composers who really shook things up — the ones who were forcing audiences to listen in a new way. Debussy goes at the top of this list. His use of chromaticism made Richard Wagner look like a graduate student. Debussy could achieve a timelessness in music, with opaque textures that can be addictive. Debussy is all about texture. Try the evocation of the sea, La mer. Listen to the piano preludes. Imagine what it was like for an audience accustomed to Mozart, Schubert and Brahms to hear these works when new. If that's not enough, read up on Debussy's love life and learn all about sensualite in music. 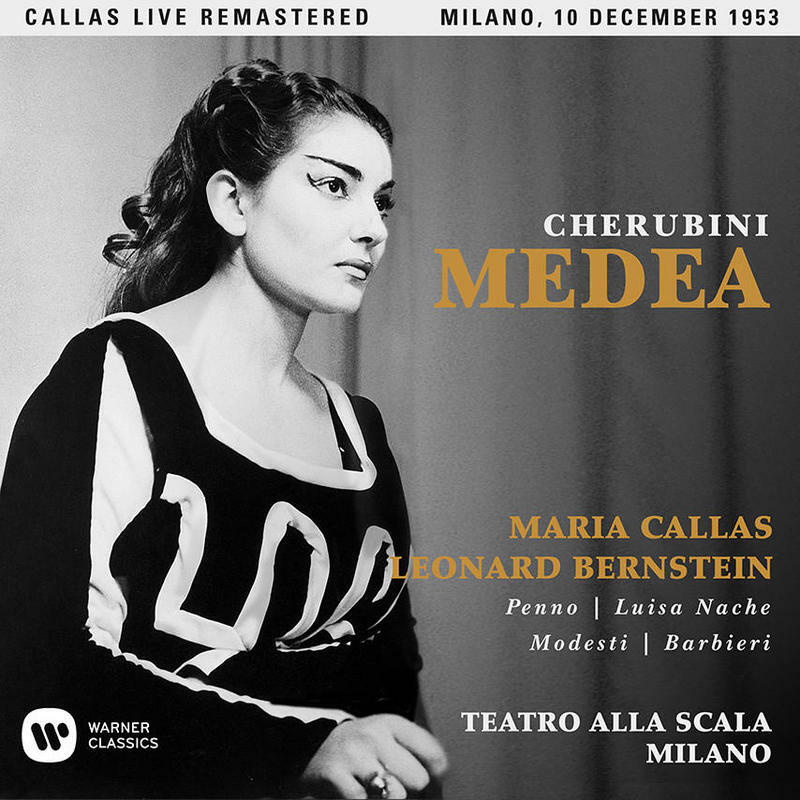 I can't quote what critic Virgil Thomson said happens 11 times in Debussy's Pelleas et Melisande. Rose Ponzillo, from Meriden, Connecticut, the daughter of Italian immigrants, made her debut at the Met four days after the end of World War I. She was 21 years old and had never appeared in opera. The performance was Verdi's La Forza del Destino, and a force of destiny it was. Rechristened Rosa Ponselle, the young woman had spent three years on the vaudeville circuit with her older sister Carmela, in an act that combined opera and pop called Those Two Tailored Girls. It was during a voice lesson that the great tenor Enrico Caruso heard Ponselle. He brought her to the Met. The brass was impressed. Impresario Giulio Gatti-Casazza engaged her at once. "Listen to me," the padrone told Caruso. "If she makes good, this American, every door will be open to American singers. If she doesn't make good, I take the next boat to Italy, and America will never see me again." Gatti-Casazza spent another 20 years in America. Ponselle, to this day, is one of the greatest of all names in opera. I met her once. I was in college. A buddy's parents knew her. Ponselle was an old lady, living in splendor in her Italian villa outside Baltimore. She was lovely and gracious to a tongue-tied kid. Arthritis prevented her from signing her name to an autograph. So she pressed her heavily made-up lips to a piece of paper. I got a lip print from Rosa Ponselle. Did you? If all you know of Leonard Bernstein is the thrilling music from West Side Story, you’re in for an eye-opening summer. 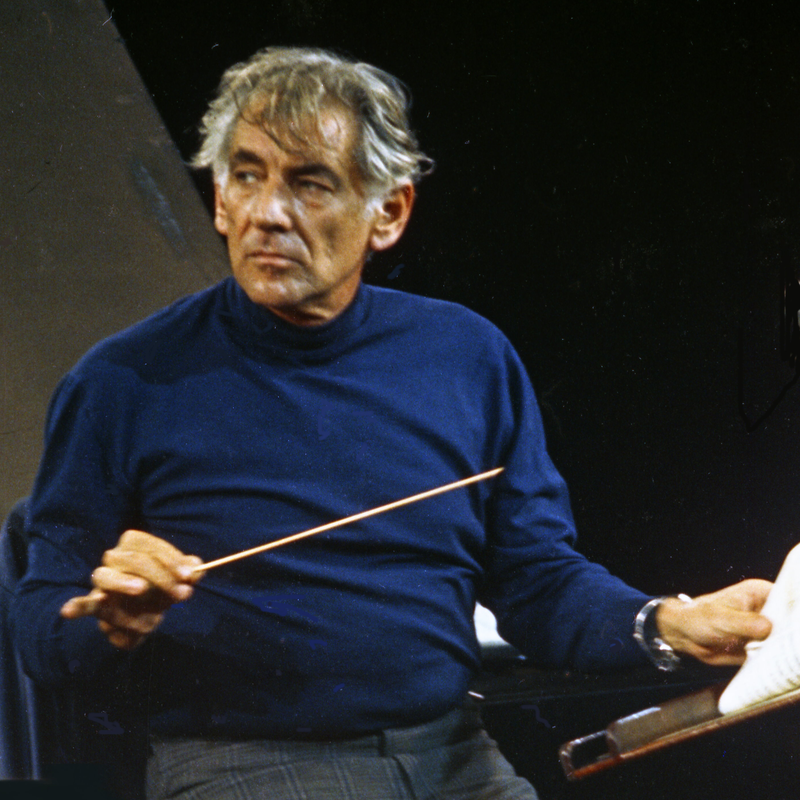 Bernstein was a groundbreaking composer, conductor, mentor and educator. At a time when classical music was often spoken of in measured, reverent tones, Bernstein was passionate, outspoken and sometimes controversial. On Oct. 22, 1983, the Metropolitan Opera threw an all-day bash celebrating its 100th birthday. Maybe you’ve dipped your toe into classical music and liked it. Are you ready to venture a little deeper into the pool? A number of years ago, I remember playing Debussy’s “Prelude to the Afternoon of a Faun” and commenting on air that it always made me want to curl up in a hammock under a sunbeam with a good book. It wasn't as if Leonard Bernstein was looking for work. 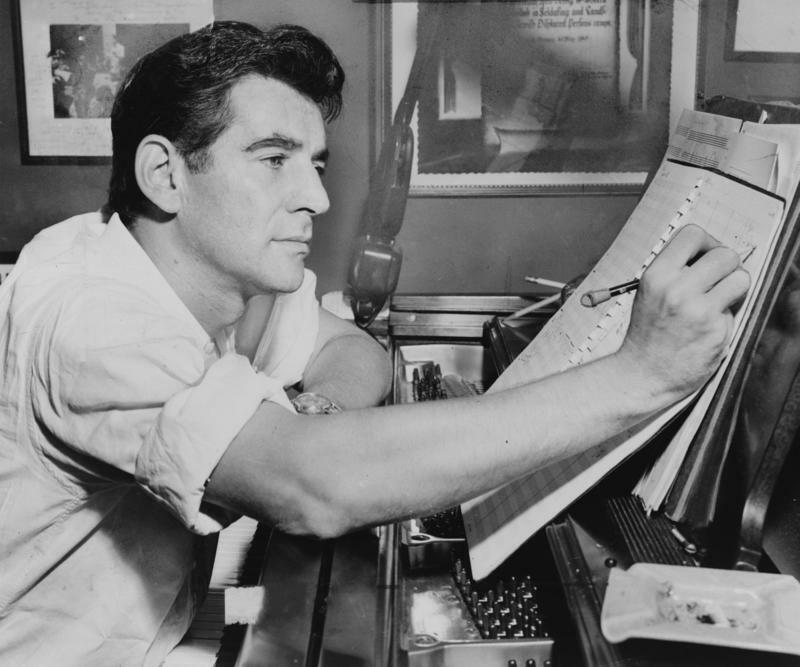 By 1953, at the age of 35, Bernstein had already created two Broadway hits and had been on top of the conducting game since his last-minute debut with the New York Philharmonic (a broadcast, yet) 10 years earlier. For the 1961 movie West Side Story, composer Leonard Bernstein was not the conductor.